How do you choose double glazers you can trust? Have you ever hired a double glazing tradesperson – or have you been on the receiving end of a hard sales pitch even though you weren’t in the market for new windows? We asked almost 3,000 Which? members, who’d had double glazing installed in the last five years, to tell us about their experience of the service. They rated the entire process, including their initial contact, obtaining a quote through to after-sales service. Their experiences covered nationwide companies and independent traders. The process of installation can be an overwhelming experience for many. Obtaining quotes, researching the reputation of a company and their previous reviews are all factors that people take into consideration. Word-of-mouth recommendations can be very important to the process too. 37.8% of people said that the main reason for choosing a certain provider was because they’d been recommended by a friend. 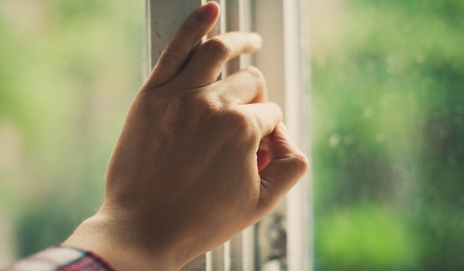 With trust in the industry being extremely low – only 6% actually trust double glazing companies – it reflects the idea that when we find one that does a good job, we are likely to stick with them. So, if you’re considering getting new double glazing, let us know what affects your decision and how you seek out the best trader. Share with us your past or current experiences, and let us know details of the work and any hiccups along the way. I wanted double glazing about 20 years ago and asked a neighbour if he knew a reliable company. He said he had fitted a couple of windows himself and it was something we could tackle together. It would be an easy job because I live in a bungalow and no ladders would be needed. We did the job and my own contribution to the work must have been almost 5%. First thing to do before you approach a company for anything – learn a bit about what you intend having done. Replacement windows? Timber, PVC or aluminium? What style? Have a look on the web at the options, pros and cons. Second, measure them and get 3 quotes for the type you choose – preferably local companies, not nationals who will want bigger profits. You’ll now have an idea as to what a realistic cost will be, and a preferred couple of contenders. Third – ask to see there work – talk to their customers. You need to put in some work, otherwise you may be paying through the nose for something not as suitable as it might be. I needed to replace sliding patio doors. Decided on aluminium (don’t like the bulky frames of PVC), looked at manufacturers of extrusions who recommended their approved window-making companies, went to see one at their factory and liked what I saw. Their price was 50% of a larger local supplier. Did a great job. But needed time and effort to save £1500. Time well spent. Taking your own measurements is risky – different companies have different break points for pricing and the difference of a half inch or so can put the price into a different category. Better to leave the measurements to professionals. Particularly for bay windows and anything that is not a rectangle. ‘Bigger profits’ go into better product R&D, manufacturing equipment, Quality Assurance, service, guarantees, etc etc as well as ensuring the company will be around for the long term. Have you looked at the figures for bankruptcies in the home improvements sector recently? There is a reason why in everything you buy there are cheap prices, mid range prices and premium prices. You get what you pay for – the 11th commandment. There is nothing on this earth that can’t be made for less and sold cheaper if quality and service don’t matter. ALL direct salespeople are paid on commission only – they have a tough job. They have to (or should) acquire a high level of professional knowledge about their products so that they can give professional advice to customers about what they are buying; to help them make sensible buying decisions that will – in the case of windows and doors – be appropriate and attractive/architecturally pleasing to the building and locale, and be effective for their property e.g. no point in putting A rated windows on North facing elevations. Their time is wasted by so many people that seem to be under the illusion that they get paid salaries, have their car/travel expenses reimbursed etc etc. and think it’s fine to ‘just get a quote’, taking the salesperson’s time for granted when they have little intention of buying from them. Especially those who think that the decisive criteria for a purchase is ‘who’s the cheapest’. So be respectful of a direct salesperson’s time – of course you’ll want to get 2 or 3 quotes, but to have en endless parade of companies is confusing to you, wasting the time of many people who just want to do a good job and get paid. My advice in any direct sales purchase for home improvements is a) Do your research into the companies, b) narrow the choice down to 1 national MANUFACTURER and one or two ‘local or regional firms. 3) get the locals in first – listen very carefully to what they tell you about their products and their company. Ask questions and assess how you feel about the honesty of the answers. Make notes and keep them about important things. Then get the national company in and do the same. See whether the national company salesperson can explain to you and SHOW you why their product is better designed, better made, better supported after the sale, better guaranteed, better installed etc etc. to justify what will mostly – but not always – be more expensive than the ‘local’ firm. (My brother recently had a new driveway laid – got quotes from 3 local companies, one door knocker who ‘was in the area’ and as a contrast called one of the top three Home Improvement ‘nationals’ – the lowest quote came from the ‘national’; beating the others overall by at least £2,000 and supplied better quality blocks, laid them in a more attractive design than the others proposed AND put them onto much better prepared foundations. The ‘locals’ priced higher, it seems because they had limited labour availability and thought ‘sellers market’… So priced themselves out. Brother is delighted yet he thought he’d not be able to stretch to a good .branded’ company. Installed in less than 4 weeks with a 20 year guarantee. He could only get 5 from one of the ‘locals’. If the national salesperson impresses you enough with their product differences, then you have a choice – perhaps stretch a little to afford those benefits or knowingly compromise – but always remember caveat emptor. When researching the different companies – locals & nationals – and their products; find out if they are a genuine manufacturer (making the parts pretty much entirely in house themselves) or are fabricators (buying in frames, glazing panels, etc from third parties and assembling them in some sort of workshop) – be aware that a real factory (whether its for windows and doors or fitted bedrooms, kitchens, curtains and blinds, bathrooms) is a lot different from a ‘workshop’ which some companies may describe as a ‘factory’. See if their manufacturing or assembling process is in conformance with ISO9002/BS5750 Quality Standards – and if they buy in components like sealed glazing units if their suppliers’ manufacturing is. But realise that 11th commandment – you get what you pay for – is ALWAYS prevalent. Unless you are very lucky. Remember when making home improvement decisions that you are investing further in the single biggest purchase you will make in your life – your home. You are adding to the infrastructure and quality of the home; improving its appearance (hopefully – and there are some pig-ugly windows and doors around that have been bough to a budget price that make once attractively designed homes look awful having been chosen by homeowners who have no clue about architectural perspective – there is a reason that the original architect divided the windows into certain numbers of panes and made some opening and some fixed); improving its thermal efficiency to reduce heating costs and make the home more comfortable; you are improving (hopefully) its security. And if you buy good quality then you can expect to see a return on that investment when you sell – look in Estate Agents’ windows. You’ll often see houses for sale that say in the ‘blurb’ that the windows were recently replaced by Everest or Anglian. You won’t ever see ‘replaced by ACME Windows of Wolverhampton or Southend’… There is a reason. I always take to facebook and ask on local community groups as well as friends. If no joy there then I turn to http://www.checkatrade.com. Beware that the internet is flooded with bogus complaints posted by competitors against different companies. The internet’s value as a ‘research tool’ is not to be relied upon. Look at market share and company size, capitalisation and strength of its balance sheet, it’s profitability etc for a much more reliable benchmark of how good a company really is. I can’t see the scoring – but I have some doubts about the value of your ratings based upon what customers say about the quality of the products. The fitting standards at least cosmetically at a superficial level I can accept a typical householders assessment as ‘excellent’ or ‘poor’ and anything in between – but for the most part that’s all they are able to report knowledgeably about apart from the salesperson’s manner and service and that of the installers. With things like windows and doors, fitted kitchens, bathrooms, driveways etc, it’s not how it looks and performs in the first months or few years that is of value to a person looking for recommendations, it’s how they perform 10, 20, 50 years later. And how repairs and maintenance are carried out during the warranty period etc. Same with ‘value for money’ – only after a significant number of years have passed can that be objectively assessed. And I am sorry, but on your ‘guide to double glazing sales and quotes’ webpage you say: “In order to get the most directly comparable quotes, make sure each company gives you prices for exactly the same products and materials.” This is ridiculous advice to give people. No two companies will offer ‘exactly the same products and materials’ – unless they are the fabricators who buy the frames, the sealed units, and other components from exactly the same suppliers and put them together. There is only one window company in the UK that is a true manufacturer – one that blends and extrudes it’s own uPVC, cuts glass to size and makes and seals its own sealed units, manufacturing everything in its own factory (only sourcing externally things like handles – and those from quality suppliers). Note my earlier comments about ‘manufacturers’ and ‘fabricators’ – a fabricator is NOT a manufacturer in the true sense of the word. Therefore, if you hope to find ‘the exact same products and materials to contrast to that one manufacturer’s products you will fail. Despite how many chancers tell you that their windows are “the same – but we don’t pay for expensive TV ads etc so we can be cheaper”. It’s naïve to think it’s possible and it’s misleading the public to suggest that it is possible. I am a director of a multi-national software company – but I do know a lot about the replacement window industry – the good and the bad. I’ve been on the wrong end of the direct sales experience as a customer and all its tricks in the worst cases, but I also understand (and have been in the position of experiencing) the pressures that the sales people in these jobs are under – and most of them are just trying to earn a living like anyone else. It’s the rogues who give the profession a bad name – but to think that the majority are like that is foolish. I like the window industry – I have no wish to work in it, but I know enough about it to know what’s good and what’s bad – what are important things to look for when buying windows and what doesn’t make a difference in reality. I appreciate a well designed replacement window installation when I see them and I squirm at the awful examples of windows where no thought or attention to appearance compared to the design and layout of the original windows specified by the original architect – yes, uPVC or aluminium replacement windows will look different to wood in frame appearance – but look how many houses have replacements where to save money people have put in giant panes of glass instead of the original 2, 4 or more individual panes which were designed for the original house. They look awful, lower the amenity of the street scene for all and the value of the house they are in as well – and make it harder to sell. Windows are important. They should be bought with brain fully engaged! Not naively. I live in a council house and my bedroom windows have ice on the inside and outside every winter. It is a disgrace but Wigan and Leigh homes say there is nothing they can do to cure them?? They replaced them a few years ago fitted by Metrolite windows. They do not even block out noise?? The company no longer fits their windows but I still have the problem. Has anyone else had to scrape ice off their windows in winter?? I am nearly 70 years old and no one cares. I went for help to Andy Burnham my MP. What a waste of time. Secondary glazing is a bit of a pain to clean but does the heat in/ noise out job very well. It’s often a lot cheaper too. I am being threatened with court action by Anglian windows who are asking for 25% of the contract price which is £6000! I was pressurised into signing the purchase order/contract after trying to avoid the salesman. I was under the distinct understanding that I could cancel the contract if satisfactory references and the paint sample were not provided. These were not provided so I cancelled on the Sunday which was the eighth day after I signed the contract. They are now saying that I am in breach of contract and that the small print says that I should’ve cancelled within seven days cooling off period. We cannot afford to pay for for this sum and also for new windows which I need. Anglian windows are most certainly the worst company I have ever dealt with. I warn anyone not to deal with them. “I always take to facebook and ask on local community groups as well as friends. If no joy there then I turn to http://www.checkatrade.com.” Checkatrade is rubbish. They are a business so are not entirely independent. Which is the only independent review service I know of. Trustmark are bad and trade organisations (eg FENSA) do not do enough guarantee that you will get a good job. Brief Cases: what if the ‘architect’ you hired wasn’t really an architect? We’re supporting Gas Safety Week: is your home gas safe? Have you encountered a rogue trader?